How to properly secure guns and other weapons at home. 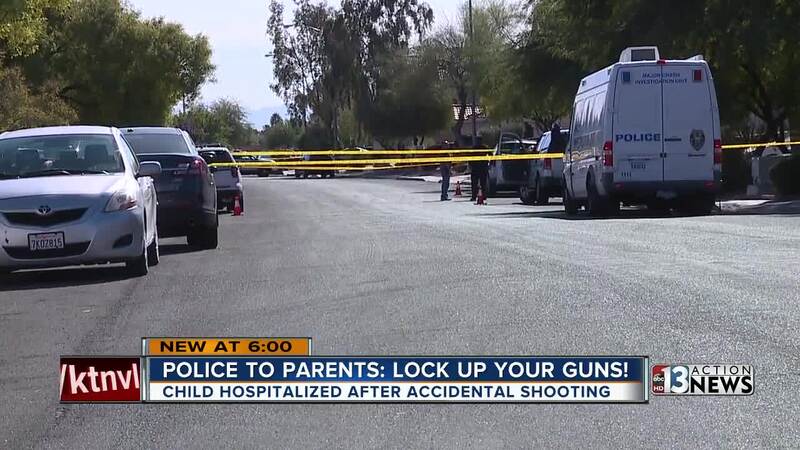 An urgent message from police for parents to lock up their guns after a 3-year-old was accidentally shot over the weekend in North Las Vegas . It’s the third time since June that a child has been accidentally shot in the valley, according to law enforcement. Police say for something like this to happen, it often boils down to gun owners not being responsible. “Make sure those weapons are in a safe place; whether that's in a safe place, or up high, out of reach of small hands,” says Aaron Patty, North Las Vegas Police Department. Inside The Safe Keeper store near Charleston and Jones boulevards, it’s all about gun safety. “We have everything from pistol boxes up to huge gun safes," says gun expert Don Trimmer. Trimmer says gun safes are the first line of defense by locking up firearms and keeping them out of reach. Unfortunately, this is the third case in recent months. Just last month near Washington Avenue and U.S. 95 , a 5-year-old was shot in the chest by his 4-year-old brother. The child’s father was arrested and charged with child abuse and neglect. In May , a 2-year-old boy died after police say a 10-year-old had shot him while they were playing near Nellis and Las Vegas boulevards. The boy's father was arrested and told police he was asleep at the time when we woke up to a loud pop. “To them, it's a toy, but when they find a gun they’re going to start playing with it and work it and that’s the last thing you want to see happen,” says Trimmer. Trimmer adds that safes are also important to store things like medications, which a child could also access if not properly secured.